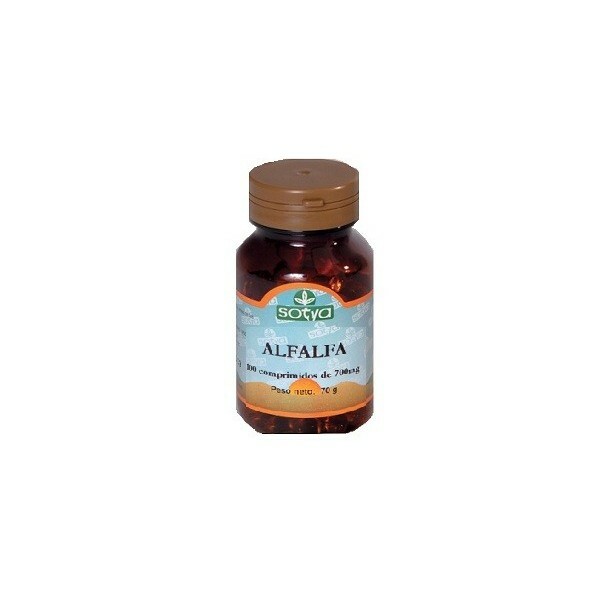 Sotya Alfalfa (cholesterol) 100 tablets. 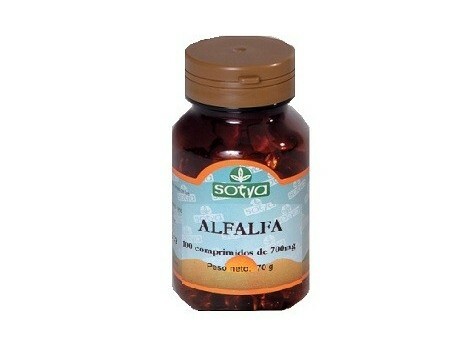 Sotya Alfalfa (cholesterol) 100 tablets. Applications: Dietary supplement recommended in the following cases: • Imbalanced diets. • Older age. • Rapid growth. • Anorexia and malnutrition. • Loss of appetite. • High cholesterol. Bead composition: Each 700mg tablet contains 350mg of alfalfa. Microcrystalline cellulose and magnesium stearate as excipients. Properties: Alfalfa is rich in minerals such as calcium, phosphorus, potassium and zinc, vitamins and beta-carotene, vitamins B and C, essential amino acids and fiber. It contains saponins (2-3%), flavonoids and sterols. Alfalfa possesses remineralizing, toning and haemostatic. It is particularly indicated for children because it stimulates the appetite and helps in growth. Early Chinese physicians used young leaves of alfalfa to treat disorders of the digestive tract, in India, was used for poor digestion. American Indians recommended alfalfa to treat jaundice and to thin blood clotting. Alfalfa is traditionally recommended as a tonic for indigestion, dyspepsia, anemia, loss of appetite and poor assimilation of food. Its content in saponins lower cholesterol and prevent the formation of atherosclerotic plaques (atherosclerosis causing) Instructions: Take 1-2 tablets before meals.